When yon enter a supermarket, it takes some time for the mind to get into a shopping mode. This is why the area immediately inside the entrance of a supermarket is known as the ‘decompression zone’. People need to slow down and take stock of the surroundings, even if they are regulars. Supermarkets do not expect to sell much here, so it tends to be used more for promotion. So the large items piled up here are designed to suggest that there are bargains further inside the store, and shoppers are not necessarily expected to buy them. Walmart, the world’s biggest retailer, famously employs ‘greeters’ at the entrance to its stores. A friendly welcome is said to cut shoplifting. It is harder to steal from nice people. Immediately to the left in many supermarkets is a ‘chill zone’, where customers can enjoy browsing magazines, books and DVDs. This is intended to tempt unplanned purchases and slow customers down. But people who just want to do their shopping quickly will keep walking ahead, and the first thing they come to is the fresh fruit and vegetables section. However, for shoppers, this makes no sense. Fruit and vegetables can be easily damaged, so they should be bought at the end, not the beginning, of a shopping trip. But psychology is at work here: selecting these items makes people feel good, so they feel less guilty about reaching for less healthy food later on. Shoppers already know that everyday items, like milk, arc invariably placed towards the back of a store to provide more opportunity to tempt customers to buy things which are not on their shopping list. This is why pharmacies are also generally at the back. But supermarkets know shoppers know this, so they use other tricks, like placing popular items halfway along a section so that people have to walk all along the aisle looking for them. The idea is to boost ‘dwell time’: the length of time people spend in a store. Having walked to the end of the fruit-and-vegetable aisle, shoppers arrive at counters of prepared food, the fishmonger, the butcher and the deli. Then there is the in-store bakery, which can be smelt before it is seen. Even small supermarkets now use in store bakeries. Mostly these bake pre-prepared items and frozen ingredients which have been delivered to the supermarket previously, and their numbers have increased, even though central bakeries that deliver to a number of stores are much more efficient. They do it for the smell of freshly baked bread, which arouses people’s appetites and thus encourages them to purchase not just bread but also other food, including ready meals. Retailers and producers talk a lot about the ‘moment of truth’. This is not a philosophical idea, but the point when people standing in the aisle decide to buy something and reach to get it. At the instant coffee section, for example, branded products from the big producers are arranged at eye level while cheaper ones are lower down, along with the supermarket’s own label products. But shelf positioning is fiercely fought over, not just by those trying to sell goods, but also by those arguing over how best to manipulate shoppers. While many stores reckon eye level is the top spot, some think a little higher is better. Others think goods displayed at the end of aisles sell the most because they have the greatest visibility. To be on the right-hand side of an eye-level selection is often considered the very best place, because most people are right-handed and most people’s eyes drift rightwards. Some supermarkets reserve that for their most expensive own-label goods. Scott Bearse, a retail expert with Deloitte Consulting in Boston, Massachusetts, has led projects observing and questioning tens of thousands of customers about how they feel about shopping. People say they leave shops empty- handed more often because they are ‘unable to decide’ than because prices are too high, says Mr Bearse. Getting customers to try something is one of the best ways of getting them to buy, adds Mr Bearse. Deloitte found that customers who use fitting rooms in order to try on clothes buy the product they are considering at a rate of 8j% compared with 58% for those that do not do so. Often a customer struggling to decide which of two items is best ends up not buying either. In order to avoid a situation where a customer decides not to buy either product, a third ‘decoy’ item, which is not quite as good as the other two, is placed beside them to make the choice easier and more pleasurable. Happier customers are more likely to buy. 5 TRUEFALSENOT GIVEN The ‘greeters’ at Walmart increase sales. 6 TRUEFALSENOT GIVEN People feel better about their shopping if they buy fruit and vegetables before they buy other food. 7 TRUEFALSENOT GIVEN In-store bakeries produce a wider range of products than central bakeries. 8 TRUEFALSENOT GIVEN Supermarkets find right-handed people easier to persuade than left-handed people. 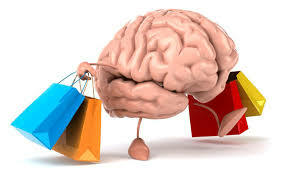 9 TRUEFALSENOT GIVEN The most frequent reason for leaving shops without buying something is price. 10 TRUEFALSENOT GIVEN ‘Decoy’ items are products which the store expects customers to choose. The supermarket is sent 11 and other items which have been prepared earlier. Baking bread in-store produces an aroma.